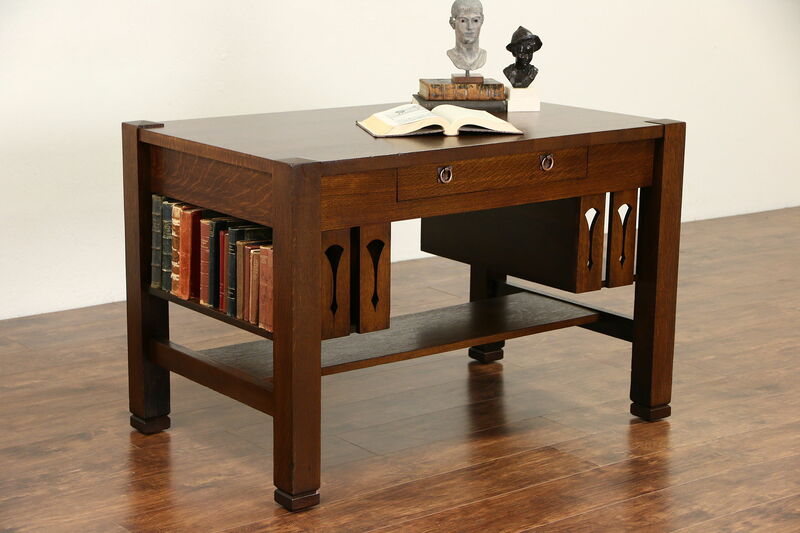 From the Arts and Crafts or Mission Oak period about 1905, this writing desk or library table has a superb deep restored finish on quarter sawn oak. American made antique Craftsman furniture, there are bookshelves at both ends and an old Mersman Bros. Brandts label from Celina, OH. Size is 49" wide, 30" deep and 32" tall.